Do you want to be able to create your own videos of games, to share tips and advice, show off your skills, or maybe even to start your own YouTube channel? If you’re interested in any of that you first need to be able to record videos of in-game footage, which can be a bit tricky if you haven’t tried it in the past. Although there are several ways to record in-game footage, most can be pretty complicated. That is why if you want an easy way to record videos from games you should try Gecata by Movavi. Simply put Gecata by Movavi will make recording in-game footage easy and painless, and you don’t need any prior experience to use it. In fact you could launch it right now and start setting it up to record your very first video. All the options that you need to set up the recording parameters are right there in Gecata by Movavi’s interface. In the ‘Capture’ tab you can set the ‘Capture mode’ to ‘Game’, then click on the ‘Microphone’ icon to highlight it if you want to record commentary to go along with your game footage. Assuming you’d like to record video footage from a webcam and overlay it in a small window, you should also click on the ‘Webcam’ icon and highlight it. 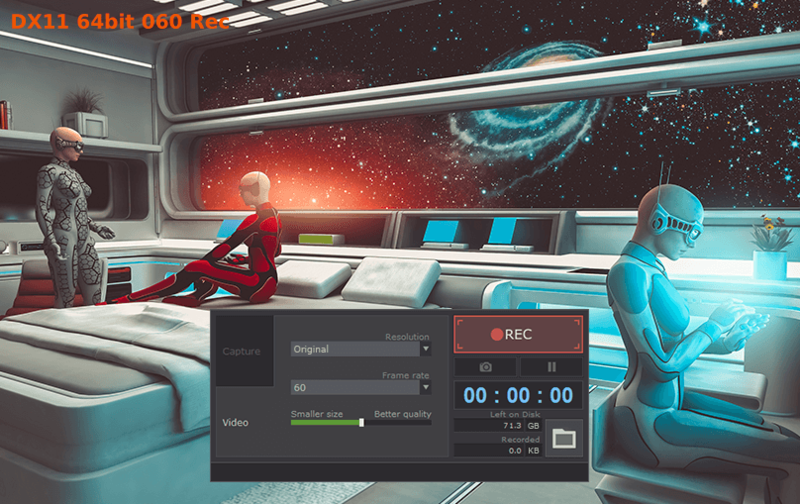 In the ‘Settings’ you can then adjust the size, resolution, position, and frame rate of the webcam video. It is also possible to have Gecata by Movavi save the audio from the microphone and video from the webcam in separate files to make it easy to edit later. To adjust the parameters of the video you should then go to the ‘Video’ tab, and set the resolution, frame rate, and quality that you want. Just remember that if all are set to high then the video that Gecata by Movavi records will have a large file size. When you’re satisfied with the settings you can go ahead and launch and play the game. If and when you want to start recording press ‘F10’ on your keyboard and then use the ‘F9’ key to pause or press ‘F10’ again to stop. After you stop recording, Gecata by Movavi will immediately save the video as an MP4 file on your hard drive. As you can see not only will Gecata by Movavi make it easy to learn how to record gameplay, but it will also give you full control over all the recording parameters and let you add commentary from a microphone and video from a webcam. All in all that should allow you to come up with some pretty good content that you can then publish on social media, YouTube, or other platforms.